The CEPCI Laboratory and Research Institute was established by The Cashew Export Promotion Council of India (CEPCI) in the year 1997, fully funded by the Government of India for ensuring the quality of cashew kernels & allied products exported from India. The Laboratory was inaugurated in September, 1997 by Shri. Prabhu, Secretary, Ministry of Commerce & Industry, Govt. of India, New Delhi. CEPCI Lab has well furnished, well equipped labs for various testing, controlled environment and adequate technical and skilled manpower provided with supporting services like internet, phones, fire services, air conditioning, UPS, etc. CEPCI Laboratory’s strength lies in it’s highly qualified professionals, technicians and well equipped Chemical, Microbiological testing divisions with state-of-art equipment. 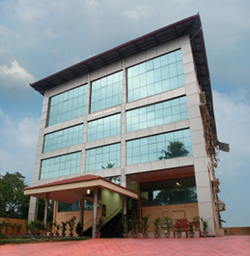 This Laboratory successfully established a laboratory quality system as per the standard described under ISO-IEC Guide 25 and the same has been accredited by the National Board for Accreditation of Testing and Calibration Laboratories (NABL) under the Department of Science and Technology, Government of India. For the past few years, all-round quality upgradation has ranked high on the operational agenda of Cashew Export Promotion Council of India and the establishment of the CEPCI Laboratory and Research Institute in 1997 marks a major breakthrough in this crucial area. The laboratory represents a unique concept in the Indian context. It offers testing and certification services to the cashew industry as well as to organizations processing a wide range of foods, drinks and drugs. The CEPCI laboratory comes as a boon to the numerous food processing plants in India as an authentic agency for testing and certification of food quality and safety. To the food product manufactures, the laboratory also offers consultancy services, carries out sponsored research.